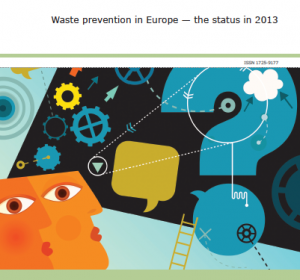 LAPN gets special mention in a new report on waste prevention in Europe. The Report, from the European Environment Agency, (published on December 17th, 2014): Waste Prevention in Europe – the status in 2013 lists LAPN as a Good Practice Example according to Annex IV of the Waste Prevention Directive under measure 7: “The Inclusion of measures to prevent waste production at installations not falling under Directive 96/61/EC”. See page 27. This is a fitting tribute to all the hard work being done on waste prevention by local authorities up and down the country. Ireland is also acknowledged as having the first EU Member State to adopt a waste prevention programme in 2004 (see page 14) and Ireland’s National Waste Prevention Programme also features strongly under areas such as objectives, scope, sectoral coverage, waste type, indicators, monitoring and stakeholder involvement.